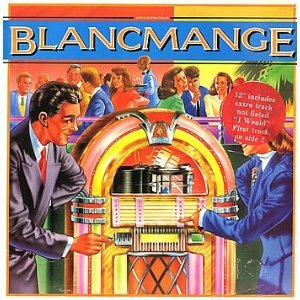 Synthpop band Blancmange formed just before the start of the great eighties, in 1979. Originally, the band had three members; Neil Arthur, Stephen Luscombe and Lawrence Stevens, although Stevens left before they had even recorded and released any songs. Neil Arthur and Stephen Luscombe were performing as Blancmange between 1979 and 1987 and had a total of seven Top 40 singles in the UK. As well as enjoying their very 80s New Wave sound, I particularly like the imaginitive artwork used on both their singles and albums. Blancmange were never as pop-orientated as other more popular synth duos of the time, and with a less commercial sound they never quite achieved the success of acts like Erasure and Pet Shop Boys. But you have to admire their impressive musical arrangements, and when you listen to Mange Tout it has aged incredibly well, sounding almost as fresh as when it was released. The duo released their first EP in 1980 entitled Irene & Mavis. The first album, Happy Families, was released in 1982, reaching #30 in the British album charts. After the first two singles Gods Kitchen/I've Seen The World and Feel Me failed to break into the UK Top 40, it came as a bit of a surprise when the third single, Living On The Ceiling, became a top ten hit, peaking at #7. This was the first of seven consecutive Top 40 hits between 1982 and 1985. 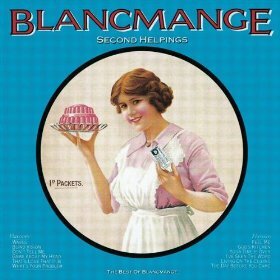 Second Helpings is a compilation of Blancmange's hits from 1982-1985. 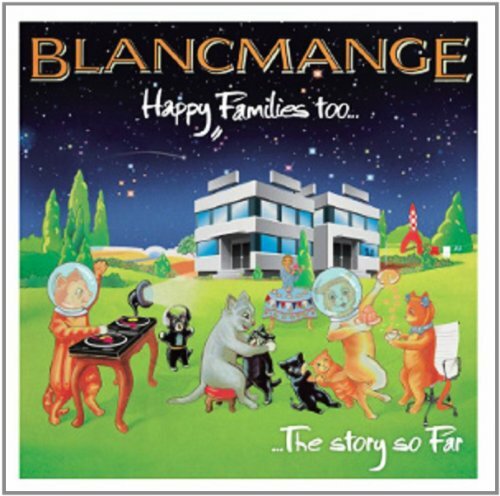 This was the final single to be released from Blancmange's debut album Happy Families, reaching #19 in the UK singles chart. 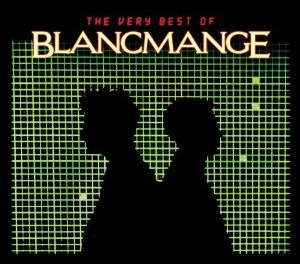 Don't Tell Me was Blancmange's second biggest hit single, peaking at #8 in the UK, and was the third single to be lifted from the band's second album Mange Tout. Other hits from the album in release order were; Blind Vision (#10), That's Love Like It Is (#33) and the fourth and final single The Day Before You Came (#22) which was a cover of the Abba song. 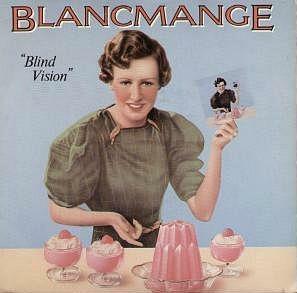 Blind Vision was released as the lead single from the Blancmange's second studio album Mange Tout. It gave the synthpop duo their third consecutive British Top 20 hit single, reach #10 during 1983. The song also reached #3 on the US Hot Dance Club Songs Chart. Mange Tout was the duo's most successful album and three more songs were released as singles; That's Love That It Is (#33), Don't Tell Me (#8) and a cover of ABBA's The Day Before You Came (#22).